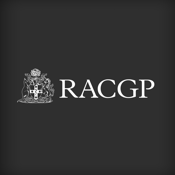 The RACGP Clinical Update Weekend is the annual conference for the RACGP Queensland Faculty. The event is held on the first weekend of May in Brisbane. The meeting mobile event app will help you navigate the conference, browse sessions, speakers, exhibitor information and more. Create your personalised itinerary by adding sessions you have registered for. Plan your time in the exhibition area with the exhibitor directory and create your list of "must see" exhibitors. View maps of the venue and places of interest.